Venezuela may have an economic crisis but raising the minimum wage to alleviate the burden on workers may be an offense. The International Labour Organization will conduct inquiry. It is not news that Venezuela is being ostracized in any conceivable form short of an actual military invasion, although threats to that effect have also been made by the US government. 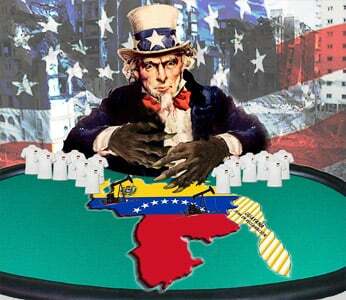 Other governments and institutions like the Organization of American States have joined in what appears to be a contest for who-is-who in ganging up against Venezuela. Fedecamaras is the Venezuelan Federation of Chambers of Commerce and Production (Federación de Cámaras y Asociaciones de Comercio y Producción de Venezuela) that represents the interests of Venezuelan business and corporations. That is a legitimate role in a country where the private sector still has a strong presence, which is fully recognized by a government that is otherwise labeled as “socialist”, “communist”, “authoritarian”, or “dictatorial”. However, Fedecamaras had more ambitious interests than trade and commerce for its “affiliated organizations” when former Fedecámaras president Pedro Carmona became de facto president of Venezuela for 47 hours during the failed coup against the government of president Hugo Chavez in April 2002. Since its founding in 1919, the ILO has opened 12 Commissions of Inquiry. Of those, only 3 involved Latin American countries: Chile (1975) during the early days of the Pinochet regime repression; the Dominican Republic (1983) related to the employment of workers from Haiti; and Nicaragua (1987). Interestingly, the inquiry about Nicaragua refers exactly to the same issues as Venezuela today keeping in mind that in 1987 Daniel Ortega of the Sandinista Liberation Front was president. Let us remember that critics are wrongly calling the manufactured economic crisis in Venezuela a “humanitarian crisis.” If that were the case, why would the Venezuelan government urgent intervention, by increasing the minimum wage level to protect the most vulnerable population, be considered inappropriate? Paradoxically, the main drivers of the economic crisis maintain that they were not consulted, and claim to be the victims of a labour transgression.